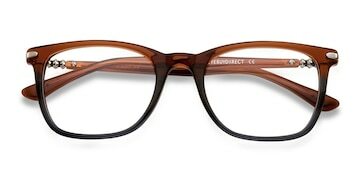 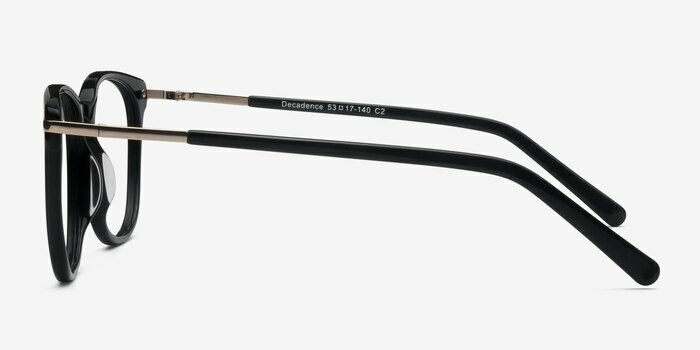 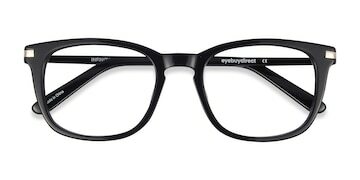 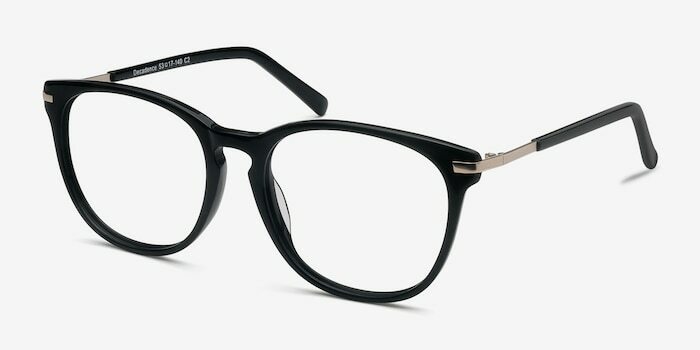 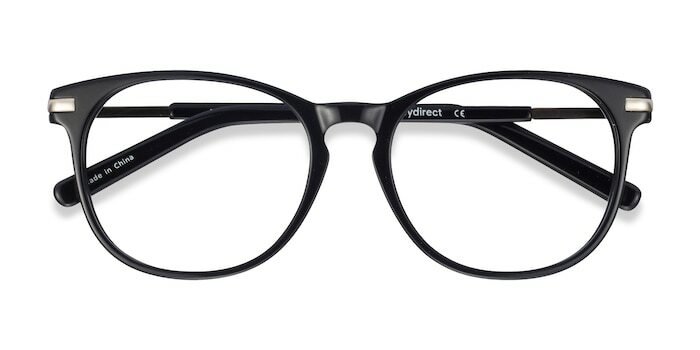 These black eyeglasses are luxurious and decadent. 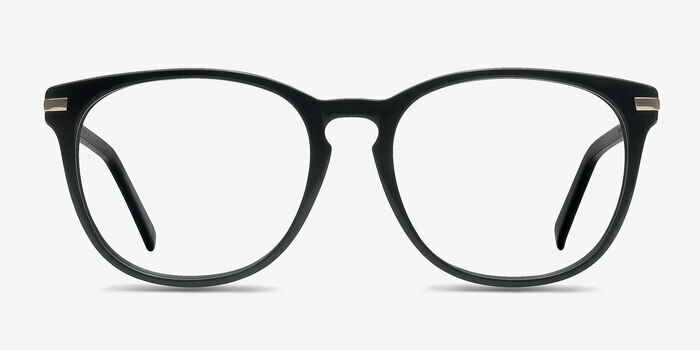 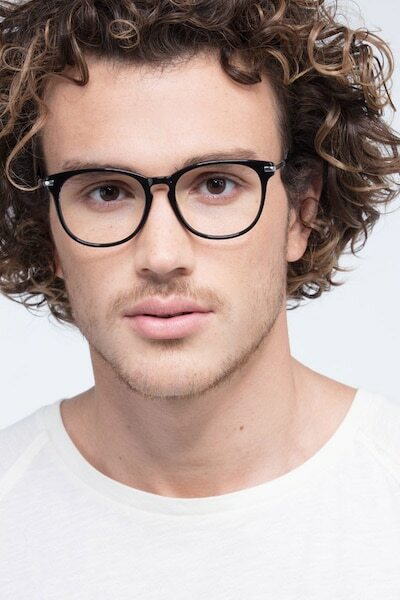 This classic wayfarer frame is transformed with a glossy black acetate finish and keyhole nose bridge. 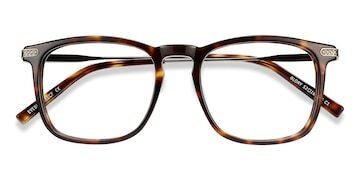 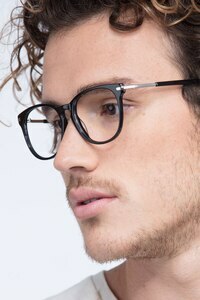 The matching acetate temples are connected with metal hinges to give it a texturally contrasting look that is suitable for both men and women.